Michelle Rose grew up sporty and has enjoyed physical disciplines such as surfing, kick boxing, Tae Kwon Do, parkour and has trained in stunt work. In 2006, Michelle turned to yoga for physical healing then continued sporadically until she returned again for mental and spiritual healing in 2010. It worked. It was this same year, 2010 that Michelle hired her first mentor to help understand life and herself better, because she knew she had a lot to give to the world but had a terrible habit of getting in her own way. 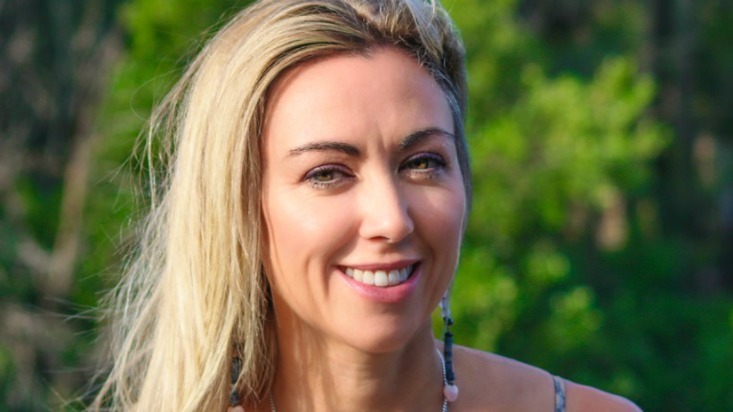 The changes that occurred from this coaching and through daily yoga and self connection led Michelle to become a coach and yoga teacher herself to help others self-connect and move through times of change and challenge. Michelle started teaching yoga in 2012 and yoga has now become part of who she is, rather than just another physical activity. She has completed two teacher trainings with Bodhi Yoga in Sydney in 2011 and 2013 with Marcus Felicetti, and Power Living’s Advanced Vinyasa training in May 2017 with Duncan Peak. Michelle specialises in Power Vinyasa flows as well as a very dynamic and playful style of martial arts/yoga fusion. Apart from yoga, Michelle is an author and Love & Relationships coach. Hand stands (not really asana…), because they remind me of what being 5 years old and full of joy feels like. 7 years ago I hit a wall of exhaustion from over work and heartbreak, then through deciding to seek within for how I was creating a life I didn’t want, I received the countless miracles that were hidden in those challenges for me. Turns out the breakdown was a breakthrough. Being part of a quality transformational personal development movement that really does make people happier.